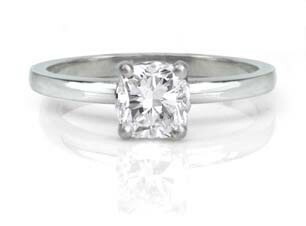 This diamond solitaire engagement ring has a pavé set diamond band on either side. 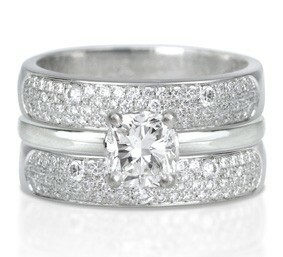 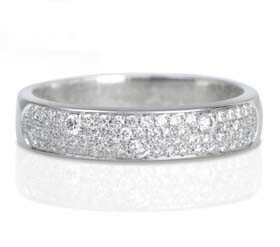 The diamonds in the bands are not the same size as each other, and the unpredictable, randomness of the pattern creates a dazzling, whimsical effect. 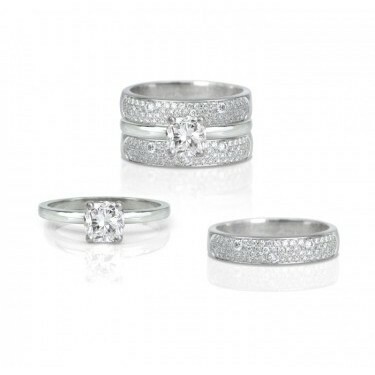 The pieces in this set can be worn on their own or all together, as the pavé set bands slide right up to the engagement ring without having a cutout.